Explore the highlights of the North Island. 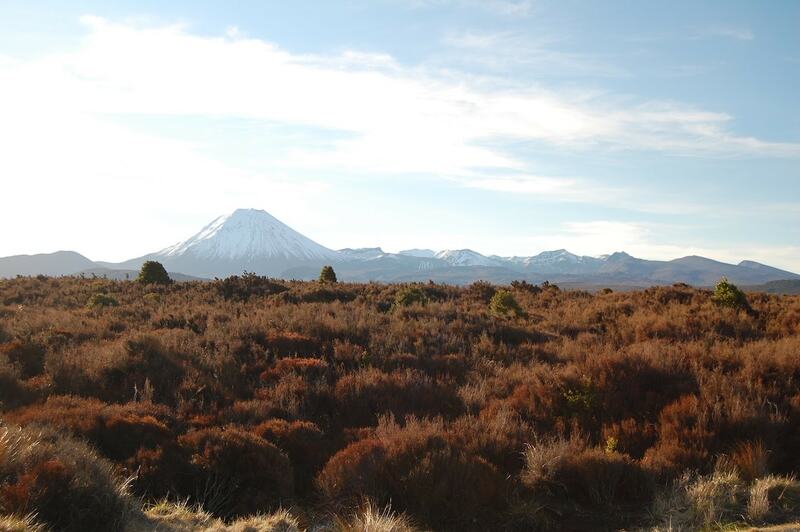 From Auckland to Lord of the Rings’ ‘Mt Doom’ at Tongariro National Park, on this 6 day luxury tour. Lord of the Rings enthusiasts visiting New Zealand will love Hobbiton, on the way from Auckland to Rotorua. Once in Rotorua, explore the thermal areas, geysers & hot springs. Additionally, numerous luxury spas in the area offer fine pampering to visitors seeking relaxation. A range of other attractions will keep you busy, including the Redwood Forest, and the Kaituna waterfall – the highest commercially rafted waterfall on Earth – and some of the best mountain biking in New Zealand. Taupo offers the roaring Huka Falls. Consider taking a jetboat ride or enjoying a scenic flight. Tongariro makes for a superb daytrip from Taupo. The adventurous may wish to attempt the world famous Tongariro Crossing – the most famous day hike in all New Zealand. A scenic drive around the park also affords excellent views, and there are fine short walks in the area. Later, the return drive to Auckland allows you to stop by Waitomo Caves, which are well worth exploring, as well as the internationally renowned Hamilton Gardens. A wide range of deluxe accommodation is available throughout the tour.